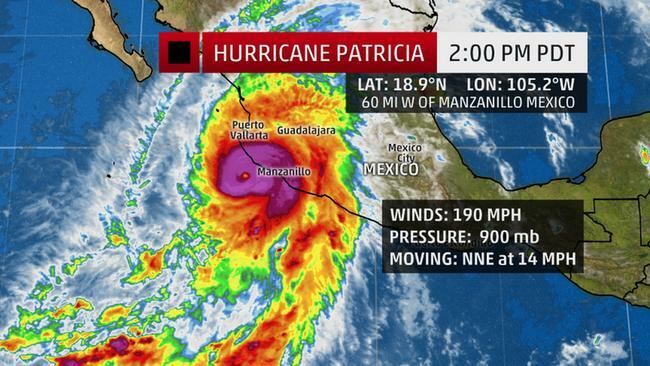 Patricia Becomes Strongest Hurricane Ever Recorded! Catastrophic Landfall Expected in Mexico. The hurricane is forecast to make landfall in the Mexican state of Jalisco Friday 4 PM as a Category 5 hurricane capable of causing widespread destruction. Residents and authorities in Mexico are rushing to prepare for what will likely be the strongest hurricane to ever make landfall on that country's Pacific coastline. Hurricane Patricia became the most powerful tropical cyclone ever measured in the Western Hemisphere on Friday morning as its maximum sustained winds reached an unprecedented 200 mph (320 kph). 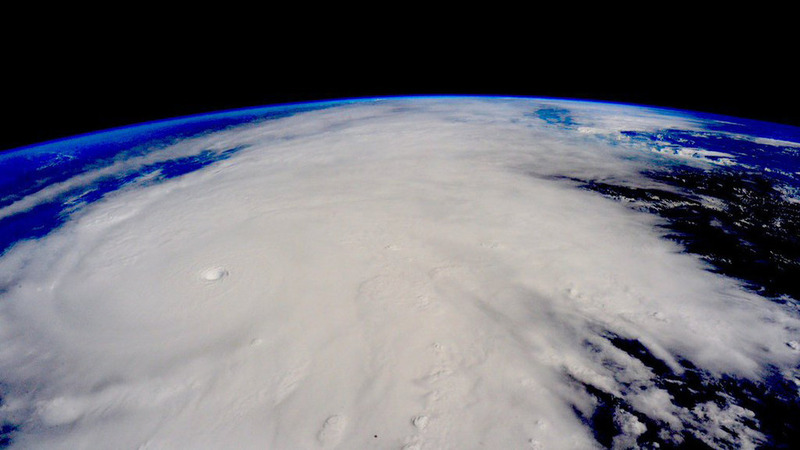 Hurricane Patricia now also holds the record for lowest pressure in any hurricane on record. With a minimum central pressure of 880 millibars . Patricia among the most rapidly intensifying tropical cyclones ever witnessed anywhere in the world since the advent of modern meteorology. 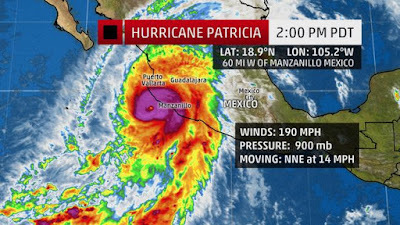 The U.S. National Hurricane Center predicted the Category 5 Hurricane Patricia would make a "potentially catastrophic landfall" in southwestern Mexico later in the day. Tens of thousands of people were being evacuated Friday from Mexico's Pacific coast as the strongest hurricane ever recorded in the Western Hemisphere bore down on the popular tourist area packing sustained winds of 190 mph, down from 200 mph earlier in the day.